Do you need a contact? This is a list of socio-professionals, members of the association of Chamonix-Mont-Blanc Tourist Office. This large Savoyard style chalet hotel is soaked in sunshine and harmoniously mixes a warm welcome with its range of services, all aimed at your complete w... Book now ! Apartment 2 rooms + kitchenette, renovated in 2014, located in a quiet luxury residence. Panoramic view on the chain of Mont Blanc, 300 meters from the cen... Book now ! 2 room apartment of 44 m2 in a chalet can accommodate 4 people in the Gaillands sector of Chamonix... Book now ! Cosy and charming mini chalet 35m², in Les Tines, a 5 minute drive from Chamonix. This little mazot is a perfect getaway for a couple or small family. Ligh... Book now ! Le Hameau de Pierre Blanche, and its Spa “Ô des Cîmes” will seduce you with an ideal quiet location in a green fir with stunning views on the Mont Blanc.... Book now ! 3* Cottage for 12 people... Book now ! Ancient chalet with 3 floors for 6 persons, situated in Vallorcine, at the entrance of the Sizeray hamlet. 5' walking distance from Vallorcine center and ... Book now ! Charming apartment of 90 m2 in old farm of the country (3 stars). Mountain atmosphere with exposed beams and large wood-burning fireplace... Book now ! Nice chalet facing south, the plain Praz, Chamonix, 4 *... Book now ! Studio 17 m2, 2* capacity 3 people in district Chamonix Sud... Book now ! Individual chalet 2* of 160 m2, 7 rooms among which 5 rooms situated in the sector of Nants... Book now ! Le Petit Drus is a nice independent mazot of 32 m2, down in a large garden, Ideal for a stay of 2 to 4 persons. You will have a breathtaking 360 degree vi... Book now ! 3-room apartment in a traditional chalet, direct access to a beautiful terrace surrounded by a garden with views of Mont Blanc.... Book now ! ACE is a mountain and white waters professional : canyoning, via ferrata, climbing, adapted sports... The adventure fervently ! The most beautiful canyo... Book now ! Very nice duplex in a chalet in the centre of Chamonix facing Mont-Blanc range... Book now ! Large newly renovated apartment for 4 persons on the ground floor of chalet in a quiet area of the centre town. Only a few steps from the main pedestrian s... Book now ! Recent independent chalet, 3 *, 56 m ², accommodation for 5 people.... Book now ! 3-room apartment, (56 m2) in the chalet "LES AROLLES", at the third floor for 4/6 persons. 600 m from the shops, 1 km 200 from the centre of town, and 67... Book now ! Nice and comfortable 4-room apartment of 80m2 in a traditional house located at 500 m from Chamonix center and at 300m from bus stop.... Book now ! Located next to the Aiguille du Midi cable car, near the ski resort center and all the facilities, our new MGM residence "The Cristal de Jade" composed of ... Book now ! Self-catered chalet 4 bedrooms, 2 shower rooms and 1 bathroom, hot tub, 200m² . A wonderful Maison de Pays, beautifully restored and refurbished, a self... Book now ! Nice 2-room apartment on the ground level of a chalet with a large bedroom and a living room with kitchen .... Book now ! 1 Room apartment for 4 persons, city center, renovated facing Mont Blanc.... Book now ! New in 2016. Chalet-hotel and restaurant in Les Praz facing the Mont-blanc range.... Book now ! Very nice 3-room apartment on the second floor of the Brévent residence, near Planpraz cable car and 500 m from centre town. The apartement has been renova... Book now ! Nice and quiet chalet with a nice view on the Mont Blanc and the cable car of the Aiguille du midi and centre town at 10 minutes walk... Book now ! Chamonix Les Balcons du Mont Blanc offers accommodations in Chamonix-Mont-Blanc N°1 location. 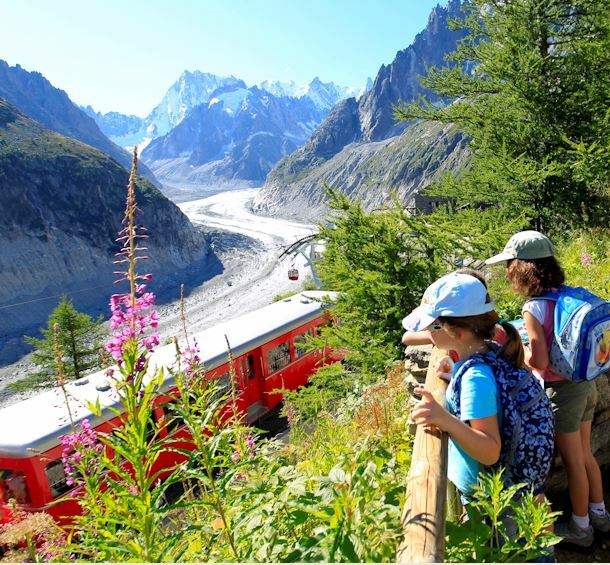 Chamonix Balcons du Mont Blanc features views of the mountai... Book now ! Individual CHALET in CHAMONIX MONT-BLANC, for 4/5 people (64m2,) to 1200 m from the city center, on the MONT BLANC VIEW, quiet, mountain cabin decor, with ... Book now ! Studio 2* of 19m2, able to welcome 4 people in the center of Chamonix... Book now ! 3-room apartment of 50 sqm situated on the ground floor of a typical house. Situated at 5 minutes walk from the centre town, bus stop at 100 m and Aiguille... Book now ! Apartment T2, 2* 28 m2 4 people in district Chamonix Sud... Book now ! Appartement "Chez CARO et CHRIS"
In Chamonix center, appartment 90m² in quiet residence, surrounded by greenery, with panoramic view on the Mont Blanc massif. Last floor, with lift, Facin... Book now ! In chalet "LES AROLLES" - 2/4 persons - 38 m2- ground floor Apartment in quiet family chalet. 600 m from the shops, 1 km 200 from the centre of town, an... Book now ! 4-room apartment of 80 sqm situated on the 1st floor of a typical house. Situated at 5 minutes walk from the centre town, bus stop at 100 m and Aiguille du... Book now ! Cosy nice furnished 24 sqm studio ** self catering for up to 4 people, fully renovated, on the 3rd floor (with lift).... Book now ! Beautiful studio cabin in a secure luxury residence, located in an area known for its tranquility and proximity to the city center. The residence is locate... Book now ! Splendid 3-bed room appartment(120 sqm) in chalet. 18th century old farm entirely refurbished . South facing.... Book now ! This quiet 2-room apartment is located on the top floor (5th) of a building in Chamonix Sud at the same level as the Aiguille du Midi cable car.... Book now ! 3-room apartment all confort for 4 persons, in the main center of Chamonix, non smoking. Close to cultural and sports activities, museums, casino and train... Book now ! Large apartment of 83 sqm, decorated with taste, 28 m² balcony, panoramic view on Mont Blanc and Aiguilles de Chamonix.... Book now ! (Entirely renovated) independent Chalet of 75 m 2 near the city centre of Chamonix (2, 5 km), facing the Mont Blanc massif and the glacier Bossons.... Book now ! Apartment 2 *, T2 more corner(place) mountain, of 38 m2 rez of road in house of country in 600 meters of the city center... Book now ! This family chalet is situated in the valley of Chamonix in the hamlet "Les Bois" 1miles and 3/4 from chamonix in a peaceful place. The chalet has easy ac... Book now ! 4 star luxury apartment of 90m2 renovated with taste and modernity, facing south on the second floor overlooking Mont Blanc.... Book now ! Large 3-room apartment of 75 sqm on the 4 floor of the residence L'Outa in the main centre town of Chamonix. South exposition facing Aiguille du Midi/Mont ... Book now ! Warm apartment with a living-room and 2 bedrooms. There are two classified 4-star apartments to be rented in the house and guests are welcome to use the g... Book now ! 27m² 2-room apartment entirely renovated facing Mont-Blanc... Book now ! Les 3 Cimes Blanches is located at the bottom of La Flégère cable car and in front of the Golf. From its garden, the Chalet offers a wonderful view on the ... Book now ! Prestige residence 10 minutes from the resort centre with indoor & outdoor pools, spa, free children's club. Parking. Wifi.... Book now ! Chalet 4*, 8 rooms of 200 m2, accommodation facilities from 6 to 12 people in the sector of "Les Praz de Chamonix"... Book now ! Fully equipped 3-room apartement, on the 4th floor of a quit residence close to the Savoy slope.... Book now ! Typical house, traditional wooden cottage of 63m2. Beautiful duplex recently renewed with taste and all the comfort you need. ldeally located in the resi... Book now ! 3-room appartement for 6 persons on the 1st floor of a chalet... Book now ! A superb 4 star hotel residence built in Savoyard style, beautifully decorated and furnished.... Book now ! Chalet of 185m2 with double living room and 6 bedrooms. Situated near the city centre and 3 minutes by car of the slopes.... Book now ! 2-room apartment situated in the center of Chamonix (behind the post) very quiet, a 35m² area on the 1st floor with terrace of 25m², Brevent side view.... Book now ! Located at the bottom of the Montenvers near the Chamonix Leisure Park, Session RAFT offers every kind of white water activities in the valley.... Book now ! Large, clear and peaceful apartment, south north, with a breathtaking view on the Mont Blanc Massif from our living/dining room (7 linear meters of bay win... Book now ! Extremely well located in the very heart of Chamonix, with its private carpark-since 1793. Every room has its own history and is different everytime... Book now ! Appartement "Les Balcons du Savoy"
2-room apartment with balcony for 4/6 persons, just besides the Savoy Ski slope and only 400 m from the town centre. Beautiful view on the Mont-Blanc range... Book now ! 2-room apartment in a small residence in Les Moussoux (upper town Chamonix).... Book now ! Direct rental through the owner, fully furnished chalet in Chamonix 150 m2 for 8 people, located in Chamonix les Praz... Book now ! Serviced self-catering apartments with spa, officially approved by "Clé Verte", 16 km from Chamonix. A showcase for your holidays, a stone’s throw from Mon... Book now ! 3* apartment 35m2 on the ground floor of a nice chalet in Vallorcine, welcoming up to 4 persons... Book now ! Quiet, comfortable and luxurious chalet, built with premium materials. Well located in the Chamonix valley 3.5 km away from the city centre. Bus stop at 10... Book now ! 2* apartment in typical local house in the village of Les Praz. Apartment of 25m2 accommodating 1-2 persons... Book now !